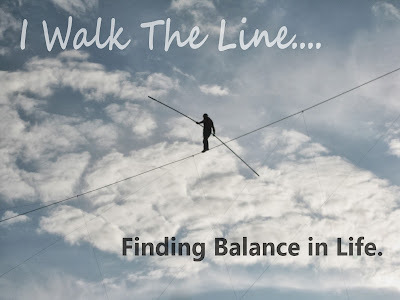 Each day I walk the fine line of balance between two ideas, and sometimes it feel like one step too far in the wrong direction will result in a stumble or a flat-out fall. between flexibility and wise preparation. between knowing if God wants my listening silence or my encouraging words. between extending grace and speaking truth. between lazy idleness and being still to know I am not the one in control. between self-centered focus and the need for self-awareness. between serving in my gifting, while also pushing myself out of my comfort zone. between letting go of hurt, yet still validating the impact of past abuse. between accepting freedom from grace, but not presuming on grace and continuing to sin. between forgiving and not condoning unrepentant sin or abuse. between empathy for the origin of someone's pain, but not enabling the unhealthy behavior caused by that pain. between being present in the moment, but still respecting the other people and obligations on my schedule. 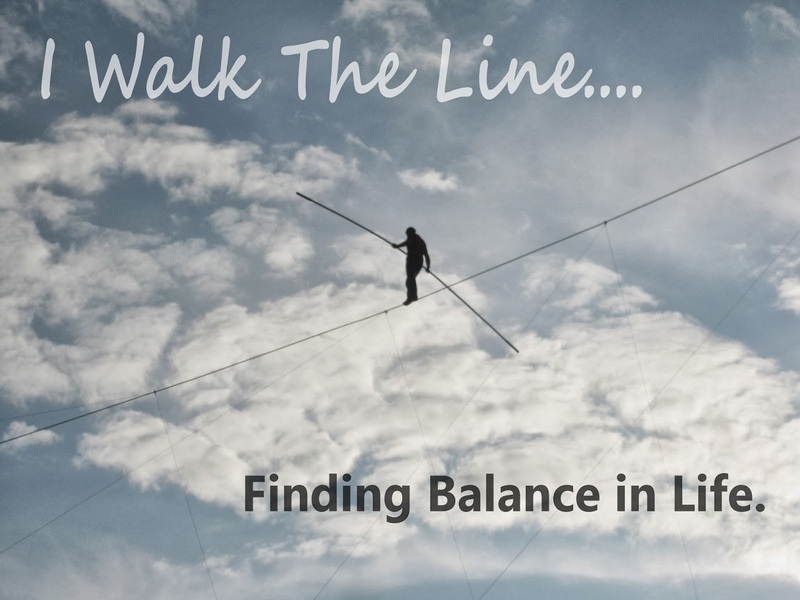 between valuing spiritual disciplines, but not slipping into a works-based pride. between creating healthy emotional boundaries, but not building walls made of bitterness and unforgiveness. I seek Balance, Lord. Only in you, and your helper of the Holy Spirit, can I find this. Please help me today.